^ Skinner 1967, pp. 97–98. La Tosca is a five-act drama by the 19th-century French playwright Victorien Sardou. 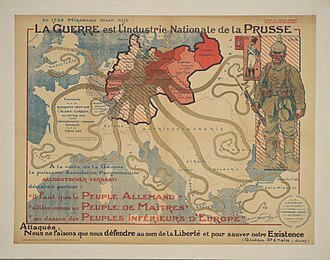 It was first performed on 24 November 1887 at the Théâtre de la Porte Saint-Martin in Paris, the play itself is no longer performed, but its operatic adaptation, Giacomo Puccinis Tosca, has achieved enduring popularity. 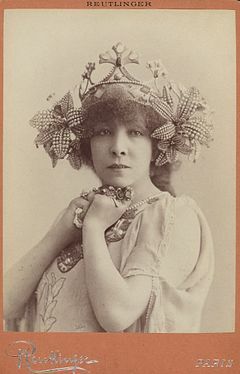 There have been several adaptations of the play including two for the Japanese theatre and an English burlesque, Tra-La-La Tosca as well as several film versions. 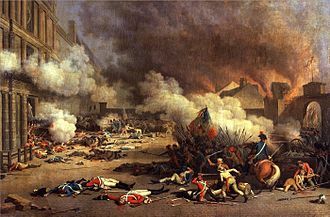 La Tosca is set in Rome on 17 June 1800 following the French victory in the Battle of Marengo, the action takes place over an eighteen-hour period, ending at dawn on 18 June 1800. Its melodramatic plot centers on Floria Tosca, an opera singer, her lover, Mario Cavaradossi, an artist and Bonapartist sympathiser. By the end of the play, all three are dead, Scarpia arrests Cavaradossi and sentences him to death in the Castel SantAngelo. 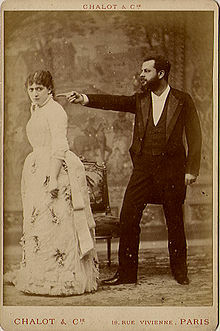 He offers to spare her lover if Tosca will yield to his sexual desire and she appears to acquiesce, but as soon as Scarpia gives the order for the firing squad to use blanks, she stabs him to death. 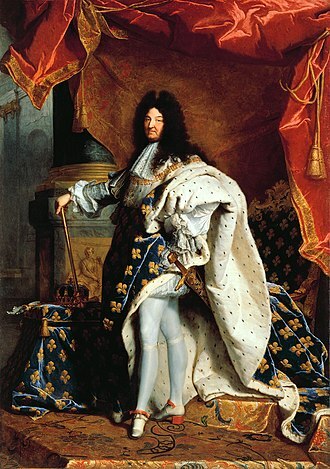 On discovering that Cavaradossis execution had in fact been a real one, Victorien Sardous grandfather had served as a surgeon with Napoleons army in Italy, and Sardou retained a lifelong interest in the French Revolution and the French Revolutionary Wars. 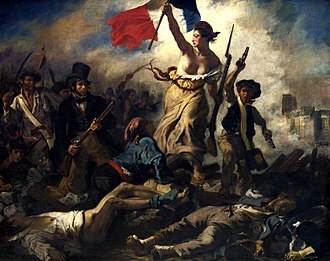 In addition to La Tosca, six of his plays were set against the events of those times, Monsieur Garat, Les Merveilleuses, Madame Sans-Gêne, Robespierre. 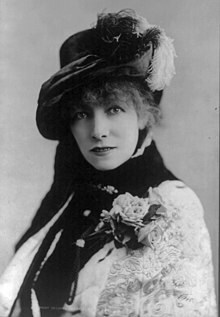 Sardou wrote La Tosca specifically for Sarah Bernhardt and she was in her mid-40s by and Frances leading actress. 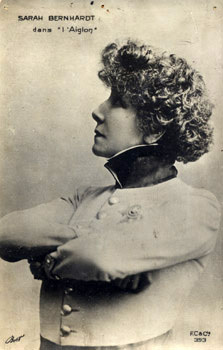 In 1883, she had taken over the lease on the Théâtre de la Porte Saint-Martin. 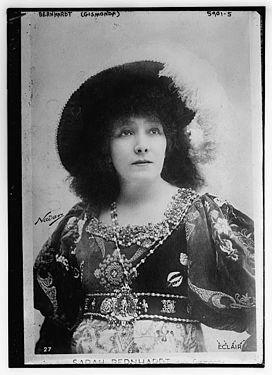 It was the third play Sardou had written specifically for her, both their first collaboration, Fédora, and their second, Théodora, had been highly successful. 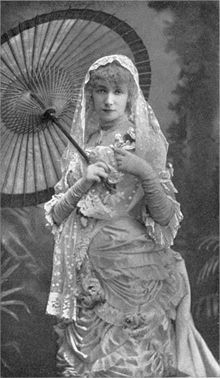 Pierre Berton, who played Baron Scarpia, had been Bernhardts on and off lover for many years, the costumes were designed by Théophile Thomas, who designed Sarah Bernhardts costumes for Hugos Ruy Blas, Sardous Cléopâtre and Théodora, and Barbiers Jeanne dArc. 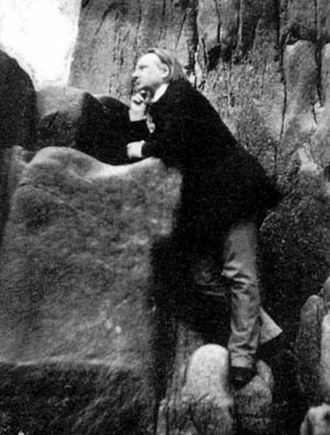 Victorien Sardou was a French dramatist. 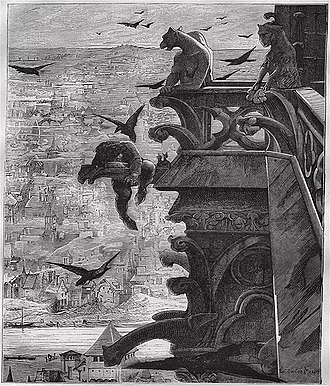 He is best remembered today for his development, along with Eugène Scribe, Victorien was born in rue Beautreillis, Paris on 5 September 1831. The Sardous were settled at Le Cannet, a village near Cannes, a nights frost killed all the trees and the family was ruined. 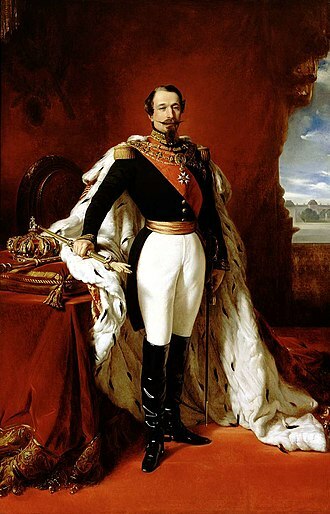 Victoriens father, Antoine Léandre Sardou, came to Paris in search of employment, with all these occupations, he hardly succeeded in making a livelihood, and when he retired to his native country, Victorien was left on his own resources. He had begun studying medicine, but had to desist for want of funds and he taught French to foreign pupils, he gave lessons in Latin and mathematics to students, and wrote articles for cheap encyclopaedias. At the same time he was trying to make headway in the literary world. 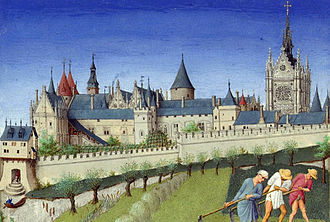 His talents had been encouraged by an old bas-bleu, Mme de Bawl, who had published novels and enjoyed some reputation in the days of the Restoration, but she could do little for her protégé. 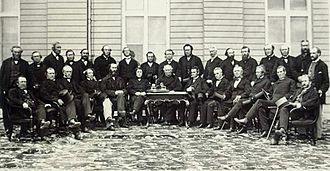 Victorien Sardou made efforts to attract the attention of Mlle Rachel, La Taverne was withdrawn after five nights. 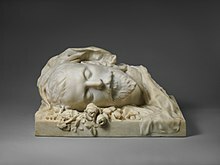 Another drama by Sardou, Bernard Palissy, was accepted at the same theatre, a Canadian play, Fleur de Liane, would have been produced at the Ambigu but for the death of the manager. 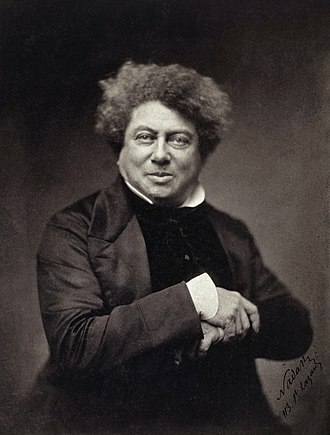 Sardou submitted to Adolphe Lemoine, manager of the Gymnase, a play entitled Paris à lenvers, montigny thought fit to consult Eugène Scribe, who was revolted by the scene in question. 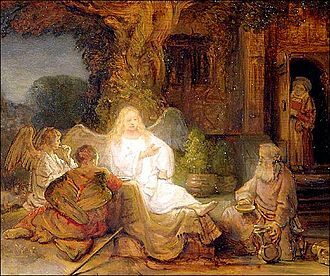 In 1857, Sardou felt the pangs of actual want, and he was living in poverty and was dying in his garret, surrounded with his rejected manuscripts. 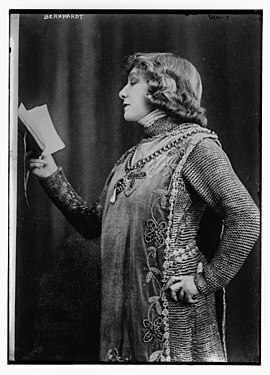 A lady who was living in the same house unexpectedly came to his assistance and her name was Mlle de Brécourt. 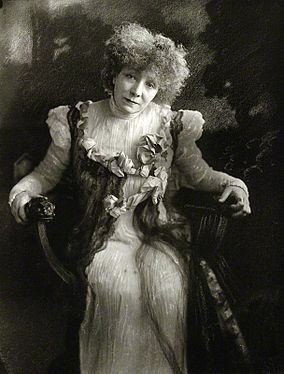 She had theatrical connections, and was a favourite of Mlle Déjazet. 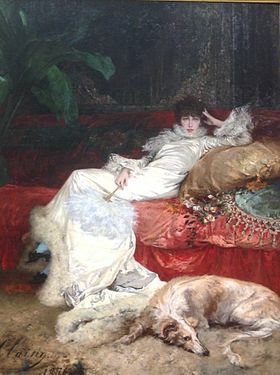 She nursed him, cured him, when he was well again, Déjazet had just established the theatre named after her, and every show after La Taverne was put on at this theatre. 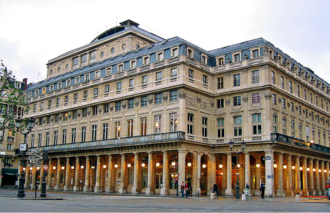 Fortune began to smile on the author and Gervais were done at Theatre des Varlétés and in English at Criterion Theatre in London. In theatre and performing arts, the stage is a designated space for the performance of productions. The stage serves as a space for actors or performers and a point for the members of the audience. As an architectural feature, the stage may consist of a platform or series of platforms, in some cases, these may be temporary or adjustable but in theaters and other buildings devoted to such productions, the stage is often a permanent feature. There are several types of stages that vary as to the usage, the most common form found in the West is the proscenium stage. In this type, the audience is located on one side of the stage with the remaining sides hidden and used by the performers and technicians. Thrust stages may be similar to proscenium stages but with a platform or performance area that extends into the space so that the audience is located on three sides. In theatre in the round, the audience is located on all four sides of the stage, the fourth type of stage incorporates created and found stages which may be constructed specifically for a performance or may involve a space that is adapted as a stage. 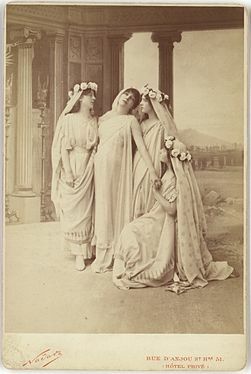 Since the Italian Renaissance, the most common used in the West has been the proscenium stage which may be referred to as a picture frame stage. The primary feature is an opening known as the proscenium arch through which the audience views the performance. The audience directly faces the stage—which is typically raised several feet above front row audience level—and views only one side of the scene and this one side is commonly known as the invisible fourth wall of the scene. The proscenium arch evolved from the proskenium in Ancient Greek theaters and this was the space in front of the skênê or backdrop where the actors actually played. Stage floors were raked upward slightly from front to back in order to contribute to the illusion and to make actors more visible to audiences. Subsequently, audience seating was raked, and balconies were added to give audiences a fuller view, by the end of the 19th century most stages had level floors, and much of the audience looked down on, rather than up to, the stage. King Lear is a tragedy written by William Shakespeare. The Tragedy of King Lear, a more theatrical revision, was included in the 1623 First Folio, Modern editors usually conflate the two, though some insist that each version has its own individual integrity that should be preserved. 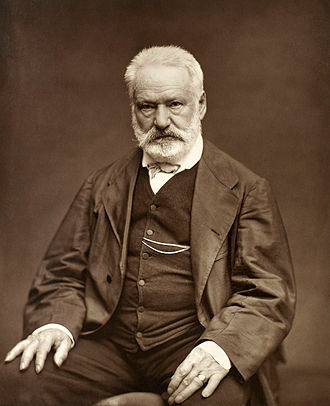 The tragedy is particularly noted for its probing observations on the nature of human suffering, george Bernard Shaw wrote, No man will ever write a better tragedy than Lear. The eldest, speaks first, declaring her love for her father in fulsome terms, moved by her flattery Lear proceeds to grant to Goneril her share as soon as she has finished her declaration, before Regan and Cordelia have a chance to speak. He awards to Regan her share as soon as she has spoken, in his anger he disinherits Cordelia and divides her share between Regan and Goneril. Kent objects to Lears unfair treatment of Cordelia, enraged by Kents protests, Lear summons the Duke of Burgundy and the King of France, who have both proposed marriage to Cordelia. Learning that Cordelia has been disinherited, the Duke of Burgundy withdraws his suit, the King of France is shocked by Lears decision because up until this time Lear has only praised and favored Cordelia. Meanwhile, Gloucester has introduced his illegitimate son Edmund to Kent, Lear announces he will live alternately with Goneril and Regan, and their husbands. He reserves to himself a retinue of one hundred knights, to be supported by his daughters and Regan speak privately, revealing that their declarations of love were fake, and that they view Lear as a foolish old man. Edmund resents his illegitimate status, and plots to dispose of his older brother Edgar. He tricks their father Gloucester with a letter, making him think Edgar plans to usurp the estate. 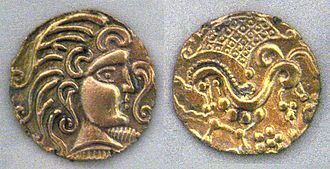 Kent returns from exile in disguise under the name of Caius and Caius quarrel with Oswald, Gonerils steward. Lear discovers that now that Goneril has power, she no longer respects him and she orders him to behave better and reduces his retinue. Prince Hamlet is the title character and protagonist of William Shakespeares tragedy Hamlet. He is the Prince of Denmark, nephew to the usurping Claudius, and son of King Hamlet, at the beginning of the play, he struggles with whether, and how, to avenge the murder of his father, and struggles with his own sanity along the way. 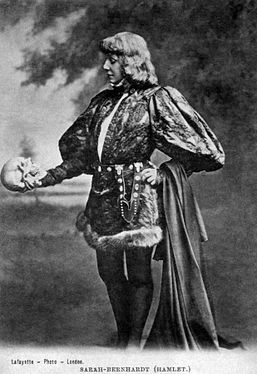 By the end of the tragedy, Hamlet has caused the deaths of Polonius, Claudius and he is indirectly involved in the deaths of his love Ophelia and of his mother Gertrude. The play opens with Hamlet deeply depressed over the recent death of his father, King Hamlet, one night, his fathers ghost appears to him and tells him that Claudius murdered him in order to usurp the throne, and commands his son to avenge his death. Claudius sends for two of Hamlets friends from Wittenberg and Guildenstern, to find out what is causing Hamlet so much pain and his advisor Polonius convince Ophelia—Polonius daughter and Hamlets true love—to speak with Hamlet while they secretly listen. Ophelia greets him, and offers to return his remembrances, upon which Hamlet questions her honesty and tells her to get thee to a nunnery. Hamlet devises a test to see whether Claudius is guilty, he hires a group of actors to perform a play about the murder of a king in front of the royal court, Claudius demands the play be stopped half through because it is the cause of his guilty conscience. When Claudius leaves the audience deeply upset, Hamlet knows that the ghost was telling the truth, a second attempt on Claudius life ends in Polonius accidental death. Claudius, now fearing for his life, sends Hamlet to England, accompanied by Rosencrantz, Claudius discloses that he is actually sending Hamlet to his death. Prior to embarking for England, Hamlet hides Polonius body, ultimately revealing its location to the King, her fathers death has driven Ophelia insane with grief, and Claudius convinces her brother Laertes that Hamlet is to blame. He proposes a match between the two. Laertes informs the king that he will poison the tip of his sword so that a mere scratch would mean certain death. 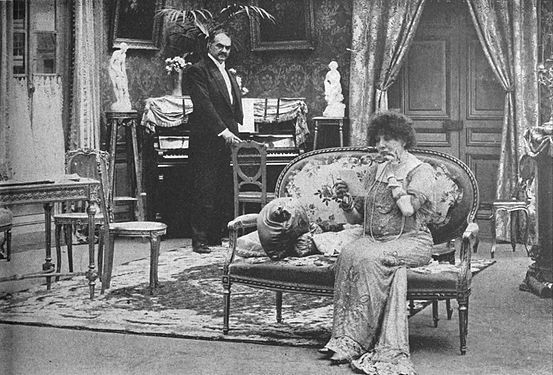 Jane Hading (left) and Jacques Damala in the play Le Maître de Forges, circa 1883. 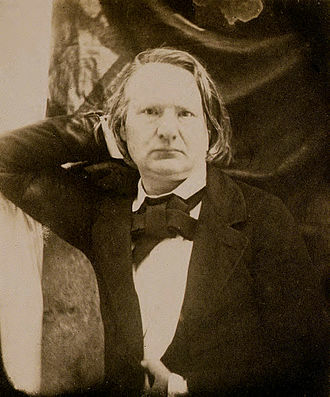 François Coppée, by Nadar, c. 1880. François Coppée, by André Rouveyre.